With pure essential oils with a fresh, juicy, spicy, "pick-me-up" feel. 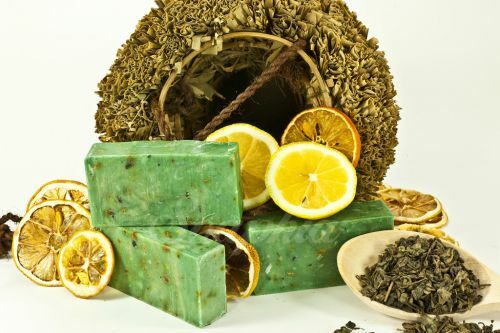 Has the true zesty aroma of limes with refreshing and cleansing organic green tea, which has great therapeutic benefits, containing potent anti-oxidants called catechins. The Lime essential oil is gently astringent and toning for the skin, we also use whole Lime fruit in the soap - the grated pulp and peel add to the texture and lather. This is also a great unisex bar, the men really love this one too.